Calgary Near by towns Airdrie,Bearspaw,Beiseker,Black Diamond,Bragg Creek,Chestermere,Cochrane,Crossfield,Elbow Valley,High River,Irricana,Langdon,Okotoks,Redwood Meadows,Strathmore,Turner Valley. I work on a reward basis that means you pay what it’s worth to you and what you can afford to have me find your lost ring or valuable. I have a call out fee of $50 if the ring or valuable is not found, this covers my fuel expenses. We can discuss this when you call. Search Types: Yards, Water hunting, Parks, Lakes, Beaches, anywhere I can get to.and confidential searches as well. 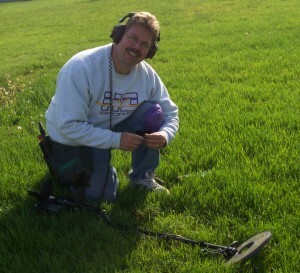 Bio:I have been metal detecting for 24 years and have several different detectors.I can find all types of metal objects lost.I have found rings and jewellery and returned the to their owners in the past. I will find those sentimental and irreplaceable items for you.